A NATIONAL anti-coal and gas group is calling for a criminal investigation into claims made by an APLNG whistle blower that the energy giant breached safety and environment rules. 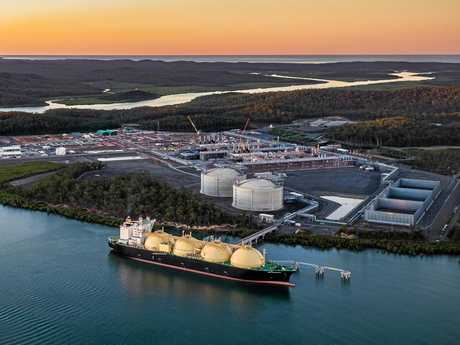 The calls from Lock the Gate Alliance follow explosive new claims by whistle blower Sally McDow that the Curtis Island APLNG operation may have been incorrectly calculating gas volumes, possibly resulting in 'tens of millions of dollars' in lost royalties to Queensland taxpayers. "If these latest allegations are true, they would represent a massive rip-off of Queensland taxpayers,' Lock the Gate Alliance campaign coordinator Carmel Flint said. "Authorities in Queensland need to launch a special investigation into what has occurred as a matter of urgency." The amended statement of claim lodged by Ms McDow in the Federal Court last week alleges that she was shown a compliance register created by a senior compliance manager with the APLNG project with a list of serious breaches of statutory obligations which had not been reported. It is also alleged the documents included reference to gaps in monitoring equipment used to calculate payments of gas royalties to the Queensland Government, which could result in 'tens of millions of dollars' in lost royalties. 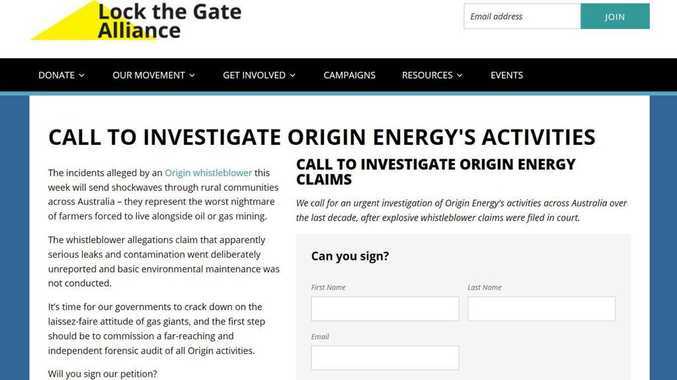 Lock the Gate has launched a petition to investigate Origin Energy's activities, which they say will "send shockwaves through communities across Australia". "The whistleblower allegations claim that apparently serious leaks and contamination went deliberately unreported and basic environmental maintenance was not conducted," the petition says. "It's time for our governments to crack down on the laissez-faire attitude of gas giants, and the first step should be to commission a far-reaching and independent forensic audit of all Origin activities." To view the petition, which already has 1000 signatures, click here. Origin has denied Ms McDow's claims, and say they will "vigorously" defend them in court. "We categorically deny the allegations thta form the basis of Ms McDow's most recent claim (and will) vigorously defend the claim in court," an Origin spokesperson told Mining Weekly Online. "We are confident that we have met, and continue to meet, all compliance related reporting obligations in relation to our asset." The cover-up regulatory breach claims, which include some against former CEO Grant King, also states the company had non-compliance with safety and environment regulations at a number of wells in Australia and New Zealand. Ms McDow claims some wells had not been maintained for more than ten years and caused oil and gas leaks. The issues were picked up in 2013 and Ms McDow said she reported them to Origin, but they were not rectified. Ms McDow, a former senior manager of compliance at Origin, made the allegations in a revised statement of claim to the Federal Court, seeking compensation for workplace and other breaches. She is suing for breaches of her employment contract, breaches of the Corporations Act and breaches of the Fair Work Act. The Observer is awaiting a response from Origin Energy and Australia Pacific LNG about the claims.